It’s been well over a year since I fired up the old XBOX360 to play Halo. I had played pretty consistently for a few years after my good friend Pete bought me the system back in 2009. We had some fun nights on Multiplayer in Halo 3 and Reach (as well as in ODST, Halo 4, and various campaigns). I have to admit that some of those maps became special to me. They ended up becoming iconic spaces where Pete and I could chat and laugh while playing the game. They were as memorable as many of the real world places in which we shared life. Above: Several versions of my Halo Avatars, Halo 3, ODST, and Halo 4. Above: Me killing myself with a grenade fail about 2 seconds into the start of a game. Below: Again, taking myself out with an ill-timed grenade. Above: But sometimes I redeemed myself. Many thanks to Pete for documenting these highlights of my gaming career. As I said above, many of the arenas in which Mutliplayer games took place became evocative spaces that have stuck with me. Periodically I’ll find myself dreaming about running through or flying above one of them. Every gamer knows the feeling of nostalgia that can take over when they venture back into Hyrule or dust off the old NES for a run through of a classic game. 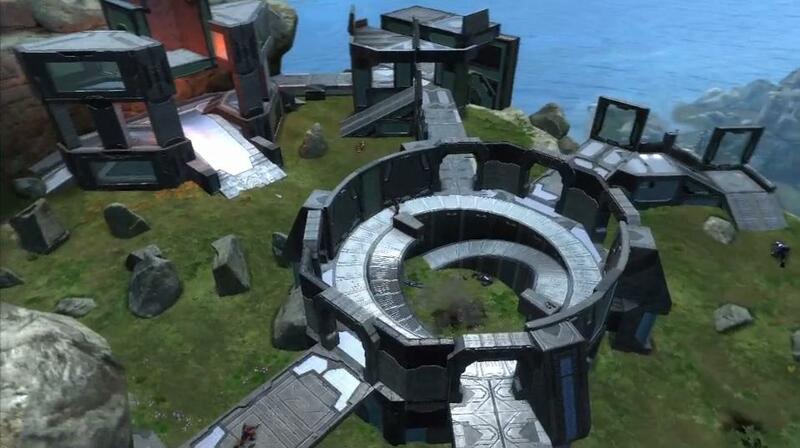 So in the spirit of this strange kind of experience that’s unique to the last 30 years or so, I’m posting screenshots of some of my favorite Halo maps. Who knows if I’ll ever get time to load these maps back up, but I enjoyed them while it lasted. Above: From Halo:Reach, The Cage. One of my top three maps to play. Above: Halo 3’s Narrows. Launching across that gap was always fun. Above: Reflection, a map for Halo:Reach, always reminded me of a creepy, abandoned mall. Check out a fly-though of the level here. Above: The legendary Guardian arena from Halo 3. Above: Sword Base, with its room of carnage, was always a good map… unless the servers selected it too many times in a row. 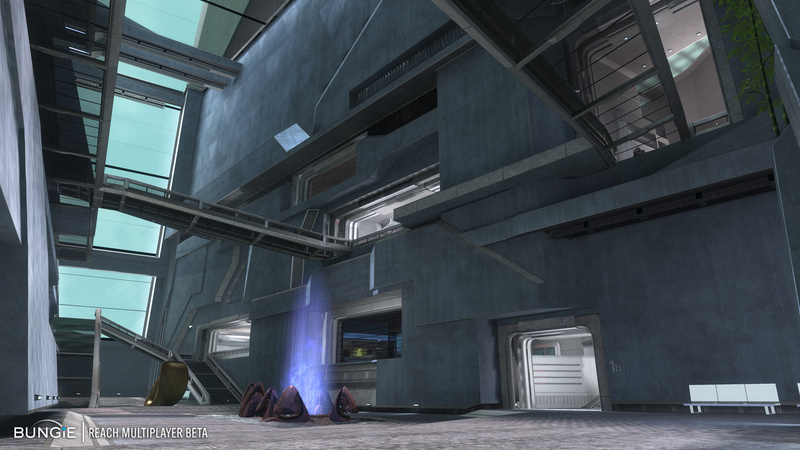 Above: Forge World/Asylum, from Halo:Reach, was a remake of Halo 2’s Sanctuary. This entry was tagged 360, gaming, halo, halo 3, halo reach, maps, master chief, multiplayer, nostalgia, reach, slayer, xbox. Bookmark the permalink. time it came time to test tallons, proess and skills on the gaming screen….BUT NO! NOT MOSTLY BECAUSE OF AGE,…IT WAS MOSTLY BECAUSE MY WIFE SAID no! TO AN XBOX. SHE DOES NOT YELL. I PLEADED…..%#%%#XBOX%#%#%#%#…….no! WAS THE REPLY. I’m not sure that it was not before now though that I ever had the least bit of an idea of just how much I had missed. Matthew, your descriptions of the sights, the sounds, the crushing realization on your way to the wall that you’d already pulled the pin on your grenade! Ouch! That moment…I WAS THERE! Gaming. At least I see and believe. Matthew has helped us all open our eyes, our ears, our energies………I think he’s the real gift here. There! HAHA, Geo – I can hear your voice in my mind as I read this… hilarious and incisive simultaneously! Thank you! Some more details from my solo show at the Montminy Gallery inside the Boone County Museum. Go see the show! My talk and a reception will happen at 4:30 this Friday the 12th of April! !